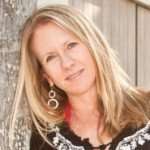 As a couple’s therapist, I’ve seen my fair share of married couples hanging at the “end of their ropes,” emotionally disconnected and often times really angry at each other! I’ve wondered if things would have been different for them if they’d done premarital work. This was the inspiration for me to write The Premarital Counseling Workbook for Couples. Learn to communicate effectively. This is probably the single most important skill to have as a couple. Learning the importance of keeping the dialogue channels open and how to argue without doing damage are two elements of this. Discuss role expectations and marriage logistics. 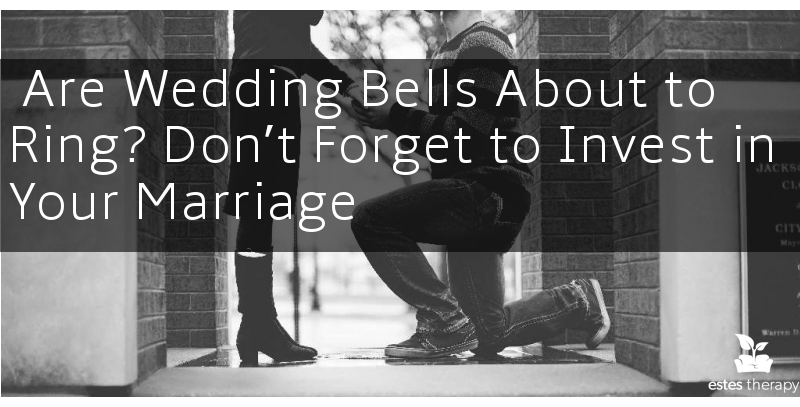 Have you talked about who will do what in the marriage and how things will run in the home? What about job, kids, no kids, where to live, how to handle finances, chores, parenting, religion, no religion etc? Explore family of origin wounds and lessons learned. We learn a lot about how to “be” in relationship from our parents. If the messages are positive and affirming that’s great but if there’s been trauma, violence, conflict, absent parents, etc – then one or both partners may be wounded from this and still carrying some of it into the marriage. Premarital counseling helps couples talk about this with empathy and support. Develop personal, marriage and family goals. Where do you see yourselves in five years? What do you each expect to be happening? Are you on the same page or could you benefit from more discussion? Whichever way resonates with you, the important thing is to just do it for the longevity and health of your marriage. It’s an investment that could potentially continue to pay dividends for years to come. 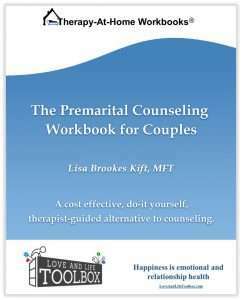 Lisa Brookes Kift, MFT, is a couples therapist, author of The Premarital Counseling Workbook for Couples and creator of The Love and Life Toolbox by Lisa Kift Therapy, with tools for emotional and relationship health by Lisa and other therapy/coaching professionals.